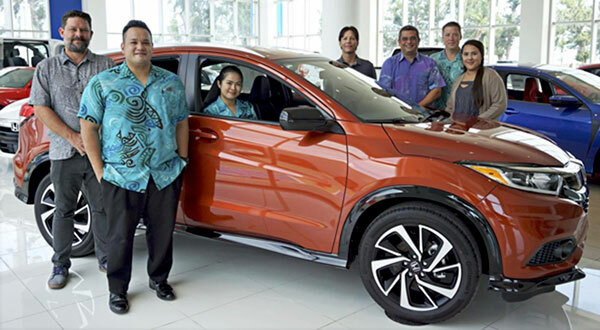 Joeten Motors is offering a 2019 Honda HR-V Sport prize valued at $27,995 as a shiny hole-in-one prize at the Hyatt Regency Saipan 23rd Annual Charity Golf Classic, which takes place this year on April 27, 2019. The donation from Joeten Motors will aid this year’s beneficiaries: Make-A-Wish Foundation of Guam and CNMI, 500 Sails, NMI Rollers Basketball Association, Isla Montessori School, and 4H Marianas. The Make-A-Wish Foundation grants wishes to children with life-threatening illnesses. 500 Sails promotes traditional Chamorro and Carolinian proa (canoe) construction and sailing. NMI Rollers Basketball Association promotes the sport of basketball among the youth. Isla Montessori School strives to blur the boundaries between the island community and institutional schooling. 4H Marianas promotes agriculture in the Commonwealth. “Hyatt Regency Saipan is proud to partner with companies like Joeten Motors for the past 23 years in positively impacting our community. The generosity of their donation will continue to provide value to our golfers and help us reach our goal of impacting our five local beneficiaries,” said Ty Pauling, Hyatt Regency Saipan Food & Beverage director. Aside from holding the Nissan franchise, Joeten Motors also offers automobile brands such as Honda, Ford, and Kia, in exclusive U.S. specifications.